Writing exclusively for Moray Life, Elgin-based tax and accountancy specialist Andrew Richardson gives advice on financial matters to small businesses. If you have a tax query then please submit your questions directly to Moray-Life using this form and Andrew will try to give you a response on this page next month. 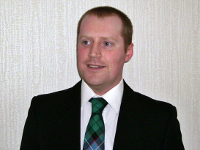 My name is Andrew Richardson and I have been running TaxAssist Accountants in Elgin for six years. I am hoping that this tax advice section will become an interactive feature. Submit your tax and accountancy questions to Moray Life and I’ll answer a sample of them each month, along with a brief summary of the tax issues we should be looking out for. Q: My business is growing and as a result my staff have started incurring travel expenses. Is there anything I should be aware of? A: Normally where an employee incurs business-related expenses, the reimbursement of them should be reported on a P11D but the employee can claim a deduction for them. Therefore, there is no impact on the employee's tax liability but there is some paperwork to be completed. Your staff must purchase some food with the benchmark subsistence payments, but it could be just a sandwich and anything they don't spend is theirs to keep tax and NI-free. Needless to say, there are other criteria to meet in order to qualify for these exemptions though. You can find them online at: hmrc.gov.uk/helpsheets/490.pdf. Q: I've just purchased a bulk load of chocolates and bottles of wine as staff Christmas presents. Can I reclaim the VAT on them? A: If you give away goods and are entitled to recover VAT on them, you must account for VAT on their cost value. So I'm afraid this means the VAT position is neutral. However, you do not have to account for VAT on 'business gifts' made to the same person so long as the total cost of all the gifts does not exceed £50 (excluding VAT) in any 12-month period. A 'business gift' is simply a gift of goods that is made in the course of your business. Gifts and entertaining is a complex area, as it can have a multitude of tax, National Insurance and VAT implications, so specific advice from an accountant should be sought early. Q: I have lost some of the receipts for my business. Where do I stand on recovering the VAT on them? You should also be able to prove the existence of the supplier. One way to do this is to quote their VAT number. The above list is not exhaustive and just to reiterate, accepting a claim for VAT where there is no valid VAT invoice is at HMRC's discretion. Please see my TaxAssist page for more details.